Hello MIUIers, hope you are doing well. 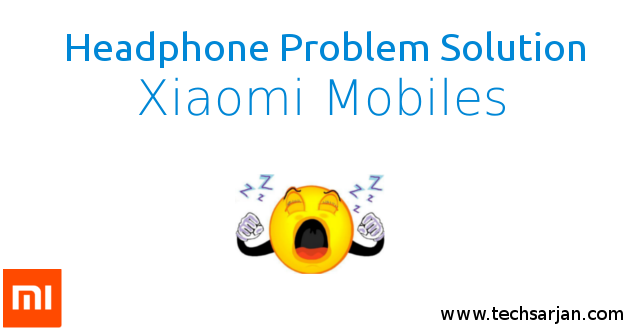 Today we talk about Headphone problem which occurs in many Xiaomi devices. So here we talk about how to rid of this Headphone problem. In Headphone problem, Your Xiaomi mobile stuck in headphone mode. A headphone symbol is always shown in the notification bar. Because of this, you can’t talk with another person during a call without opening loud speaker. So this headphone mode stuck problem is a major issue in Xiaomi’s both mobiles series including Redmi mobiles & Mi mobiles. So here we talk about possible solutions for this headphone problem and also talk about Is headphone stuck problem is solved by s/w updates or Is a hardware problem? Here we also share a step by step guide for resolving this headphone stuck problem in your favourite Xiaomi device. 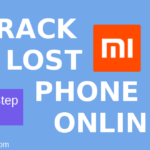 This Headphone symbol (Headphone stuck mode) occurred in any Xiaomi mobile no matter which is Redmi 1S, Redmi 2 / Prime, Redmi 3, Redmi 4, Redmi 4A, Redmi 3s / Prime, Redmi Note 4G,Redmi Note 3, Redmi Note 4, Mi 3, Mi 4, Mi 4i, Mi 5, Mi 6 etc. Even this problem doesn’t depend on MIUI version it may occur on any MIUI version like MIUI 7, MIUI 8 & As usual MIUI 9. 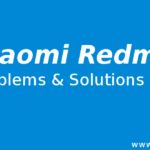 This problem because of hardware issue So please don’t think that you format (Factory Reset) your device and problem solved, Even Device reflash won’t work in this problem. All smartphones are machines. and machine always faces issues no matter which is manufactured by Apple or Xiaomi. So here we can’t blame Xiaomi. This is not a major issue. Only a few users face this problem on their devices. So it’s better to resolve this problem at home else you can visit nearest Xiaomi service center they always ready to help you (Everyone knows how they help, Especially in India :p). So here we discuss possible solutions for this Headphone problem. As we already said this is a hardware problem but some users still think that this is a software bug. Hope this is a software bug so they reset their device and voila! problem solved. Even they can also flash a new ROM. Here we suggest please try below trick before doing anything. It may be helpful for you. Just take an earbud, and clean the headphone hole. Before trying this please switch off your Xiaomi mobile. If the first solution doesn’t work for you then try this. Put back your Headphone Jack in the socket and very quickly remove it. Now follow this put-remove task 30-35 times. => Grab an earphone which has a mic on it. => Plug your earphone in your device and make sure that you keep your device unlocked. => Long press power/answer button on earphone for nearly 4-5 seconds and then immediately unplug your earphone without releasing the button. Turn on Lite mode in your Xioami device. and go back to normal. Click here to know What is Lite mode and how to enable. => Unplug Headphone If plugged. => Go to Settings < Sound & Vibration < Audio Settings< Choose Head Phone Types. => There are various options like General, General In-ear, Mi earbuds Mi In-ear, etc. => select any one option from that and plug headphone and remove, wait 2 seconds after removing headphone and see If headphone symbol disappears or not. => If symbol won’t disappear select other option and repeat above steps. Hopefully, the second solution is surely helpful for you. You can try this if your headphone symbol is permanently stuck at the notification panel in your Redmi Note 3, Redmi 3s / Prime, Redmi Note 4, Redmi 4, Redmi 4A. 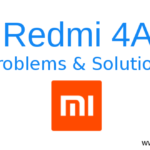 If the problem still not resolved then please visit nearest Xiaomi service center.